Panthenol is a truly remarkable chemical with a wide range of benefits for the skin and hair. It is present in skin and hair and so would be well tolerated when applied to the skin via creams, lotions, shampoos etc. Panthenol soothes, softens and moisturises the skin, reducing the appearance of fine lines and wrinkles. Its exfoliating properties fight free radicals and promote new skin cells to consistently regenerate, offering a more youthful, fresh appearance. Panthenol penetrates the upper layers of skin and reaches the layers of skin where it has the best effect. It can bind water to itself and so would also increase moisture and hydration of the skin. This moisture absorption has the effect of “filling out” the area to which it is applied, naturally stretching the skin, erasing fine lines around the eyes and mouth and reducing the severity of wrinkles. When used as part of a daily skin care maintenance system, Panthenol can make a big difference in the overall look of your skin. 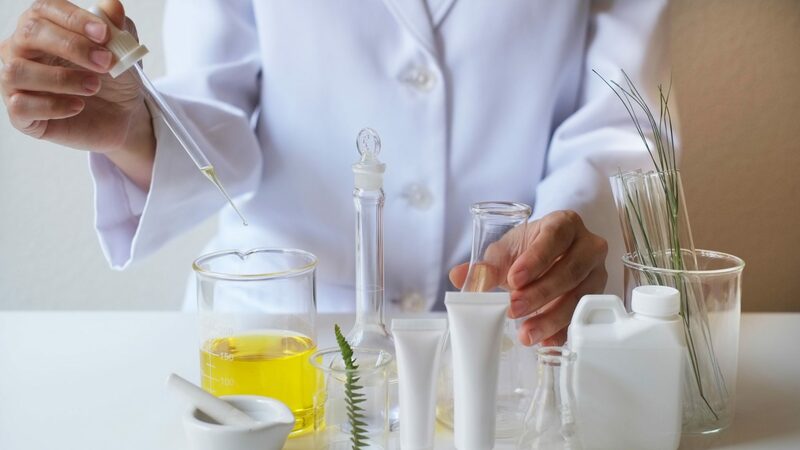 Panthenol if applied to the hairs can repair damage to the hair shaft, can smoothe the cuticles of the hair shaft and thus reduce split ends. Regular use will restore hair shine and increase the volume of the hair. Usage: Can be incorporated into a wide range of skincare and haircare products. Creams, lotions, toners, cleaners, shampoos, conditioners etc. Appearance. Thick, clear clear liquid.